Mr.Lin Group is an Australian Registered Business that provides gardening and cleaning services to West Australian commercial and residential properties within the Perth metropolitan area and Ellenbrook. Since 2007, Mr.Lin Group has been providing the services, specialized gardening and commercial cleaning services and residential cleaning services to over 1000 customers every year. We organize and provide regular gardening & cleaning services to more than 300 commercial properties such as offices, recreation centres, schools, restaurants, supermarkets, retail outlets and more. Our Human Resources Team recruits and trains energetic individuals to provide all the services on an ongoing basis. We only select people who can meet our standards and are able to deliver a quality service. Our staff are trained and police cleared before we put them into jobs. For your peace of mind, our employers are fully covered by comprehensive public liability and workers compensation insurance. Environmentally friendly services products help improve the quality and reduce the health problems that traditional products cause. As such, we continually educate our staff on the most effective ways to perform their jobs while protecting the environment. 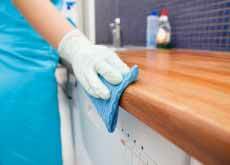 Select the tasks that you want done and we will take care of it with our full residential cleaning service. We offer a complete range of services for corporate, retail, industrial, education facilities and other commercial enterprise. 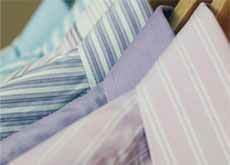 Free up your time from the chore of ironing with the benefit of professionally ironed clothes. 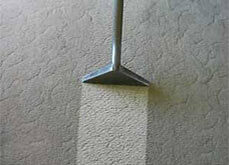 Commercial and residential carpet cleaning from small houses to corporate buildings. 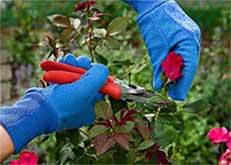 Lawn mowing, weeding, mulching, pruning, fertilising, and garden waste removal are just some of garden services we offer at Mr Lin. 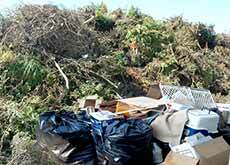 We provide a residential and commercial rubbish removal service from garden material to household junk, or unwanted items. Why is Mr Lin's pricing so competitive? We keep our finger on the pulse with industry rates and are happy to visit and provide a free quote. In addition, our efficient management system streamlines costs and passes on the benefits to our clients. What experience and skills do Mr Lin employees have for the job? What makes Mr Lin the most reliable and trustworthy Perth cleaning service for a residential or commercial job? We have experienced growth in a highly competitive market and built a strong reputation over 7 years due to our outstanding customer service and providing value for money to our clients. How much information is required to provide a quote customer? Our policy is to provide the best value and to do this we like to visit the clients premise and personally assess the details of a property. Yes, our operation is fully insured. We 100% guarantee our work and the quote we provide. How can a customer save money before engaging a cleaning service? Please give 3 tips. First, call Mr Lin for an obligation free quote. Second, let us know how much you want to spend, and we can find out what can we do to match your budget. Third, identify what you want to be done, so we can give you the right prices. How do you normally charge for your home service? We normally charge by the job, depending on the property and garden condition. Why should a customer hire Mr Lin over another service provider? No matter how big or small the job, we treat every task with care an diligence. We want clients to recommend our service and maintain our reputation as a superior cleaning service in Perth. Our employee skills and ability to carry out their duties to a high standard underpins our customer experience.